I spent the weekend in one of the several “St. Patrick’s” parishes of our diocese. 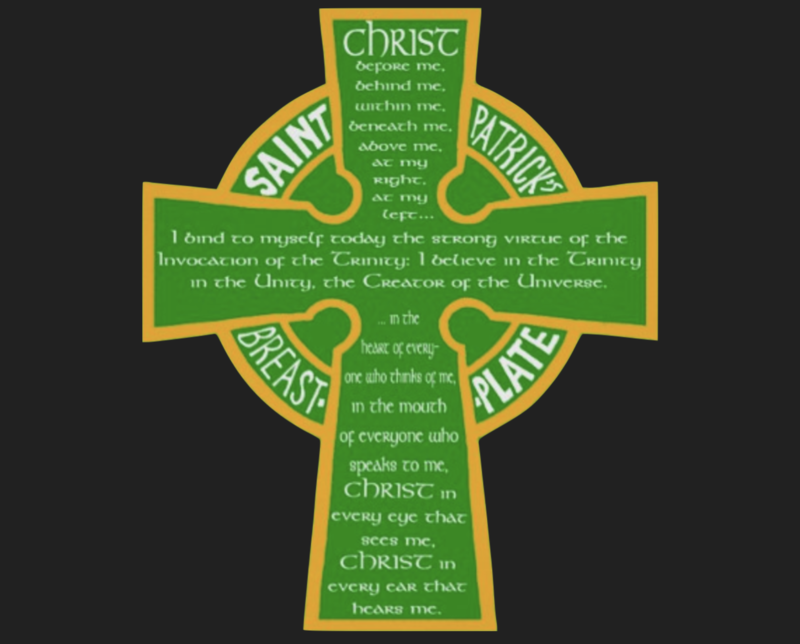 While this year the feast (normally March 17) has been shifted to today (Monday 18th) allowing Mass of the Sunday to take priority, under normal circumstances the signs of St. Patrick’s feast would be evident. But in New Zealand these days we are not living under normal circumstances. Friday’s terrorist attacks resulting in the tragic killing of 50 of our Christchurch family have changed life in our city forever. We now have to accept that terrorism is not reserved to northern hemisphere cities in distant lands but is a reality in our own country. In the past three days we have experienced an unprecedented solidarity with those who live under constant threat of terrorism in other parts of the world. While most people in New Zealand may have little understanding of faiths other than Christian, we are, because of this tragedy, for the first time easily transcending perceived divisions to care for, to embrace and to express our love for and solidarity with our sisters and brothers of the Muslim faith. We are indeed brothers and sisters, Muslim and Christians together calling Abraham our father in faith, united in our belief in One God. And this is where the painful reality of these days meets the witness of the life of St. Patrick. Most St. Patrick’s day celebrations focus on the wearing of the green and enjoying good Irish music, Guinness and dancing at an Irish pub. So it’s can be easy to forget that Patrick was a passionate disciple of Jesus Christ who brought the Good News of the ultimate and eternal liberation through Jesus Christ to the people of Ireland. Patrick showed the people how to live freedom even in the midst of oppression and persecution. Too often we reduce the lives of the saints (as we do many truths of faith) to ideas that we then consider to be optional beliefs and which don’t require us to leave our comforts or to face our fears. Today on this celebration of St. Patrick, and in the midst of our suffering, let us turn to Jesus Christ knowing that he is God-with-us. 15 Responses to "Christ with us"
Dear Father John Yes I do agree with you but I love to think of The Saints with Joy. My favourite picture of Jesus is The Galilee Jesus. He is smiling on the shores of Lake Galilee. He must have been a very happy and charismatic leader. I think that Patrick, Valentine and Francis would have been joyful in their love of God. I have Irish roots so Cead Mile a Failte which means a hundred thousand welcomes to a Grand Feast Day. I enjoy your posts. All be a Grand. Thank you, That’s beautiful and goes directly to the heart. This prayer along with the prayer to St Michael the Archangel and the prayer of St Francis have been well used over these past days. Thank and praise God for his family of Saints. Thank you too Fr John for that beautiful Music to start my day. Thanks for the wonderful work you are doing by bringing Catholicism into the 21st Century! It is so refreshing to have access to a relevant daily online reminder of the important things in our lives with all of the other distractions we have in this turbulent world. God Bless all us. A beautiful meditation to begin the day and week. It is utterly reassuring in these uncertain times. Thank you for the lovely prayer and the singing, it brings wonderful peace. The Celtic Christians felt God very close to them in all His creation. They never felt alone with Him being so much a part of their daily lives. How much we have lost – but today, e Pā, you have given us such a taonga. May all who read and listen to this wonderful prayer be uplifted and strengthened in spirit as I am.